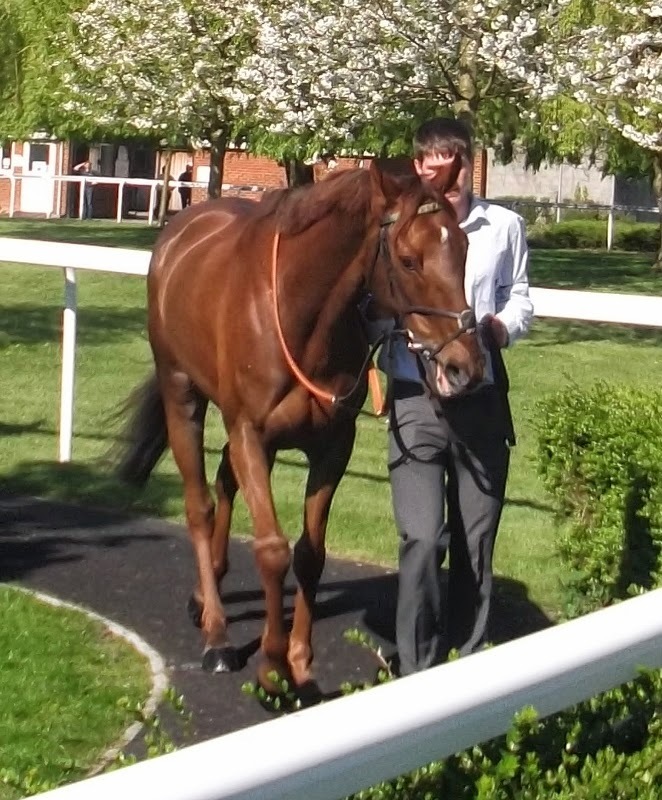 Itoldyou showed that he could mix it with the big boys when competing in a (0-135) handicap chase at Kempton today (15/4/2014). Nicky Henderson, Paul Nicholls, Kim Bailey, Philip Hobbs and Emma Lavelle all had runners. With the ground drying quickly it was necessary for Itoldyou to keep closer to the pace and Andrew Thornton had him in the right place throughout to be competitive at the end. He moved into 4th place rounding the bend for home and soon took third. He stayed on over the final two fences to be beaten three quarters of a length and six lengths. In this company it could well prove to be his best run to date. The first of this year's crop of foals was born this week when Hopeshedoes gave birth to a filly by Watar. Mother and daughter are both doing well. 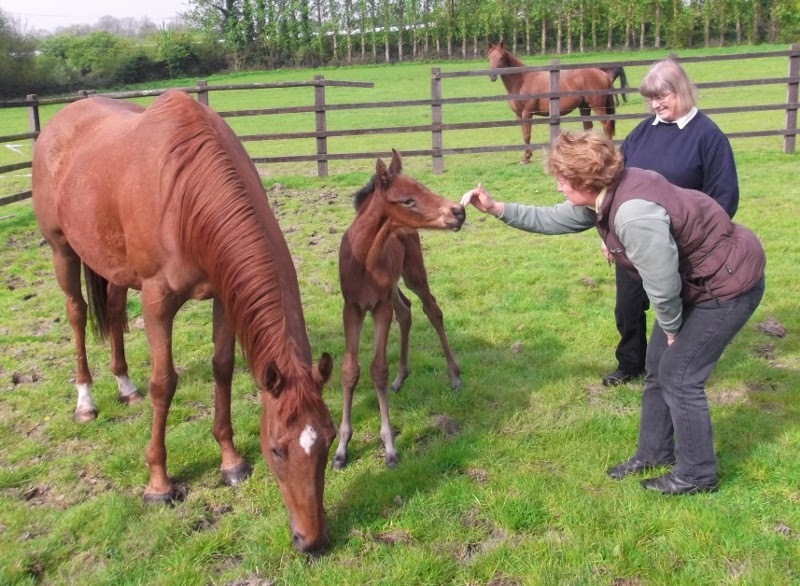 Owners, Gillian and Martin, were at the stable on Saturday to see the foal for the first time. Two other mares should be foaling in the next couple of weeks. Below - Gillian gets to know the foal. Kingscombe completed a four timer today (1/4/2014) at Southwell. Carrying top weight, under Robert Havlin, he took 4th position of the five runners, just behind the leaders, as the field set off up the straight for the first time. He held this position down the back straight until two of the field fell away, leaving three to battle it out. Coming off the bend into the final straight he was a length behind the second favourite who was 14 pounds better off than when they met last time. The change in the weights made no difference, however, and Kingscombe kept on strongly up the straight to go on and win by 3 and three quarter lengths, with a further 20 lengths back to third. So Linda's great form continues with this win making it 8 for the year so far.